I’m so impressed by Finnabair’s creativity, wonderful versatility and high quality of the products. It was a pleasure to work with them on a canvas telling a story of a prim couple. So, he keeps both feet on the ground. She is a dreamer. His mind is analytical, hers always reaches for the stars. But they have spent so many years together. Is this a kind of confusion or maybe opposites really do attract? 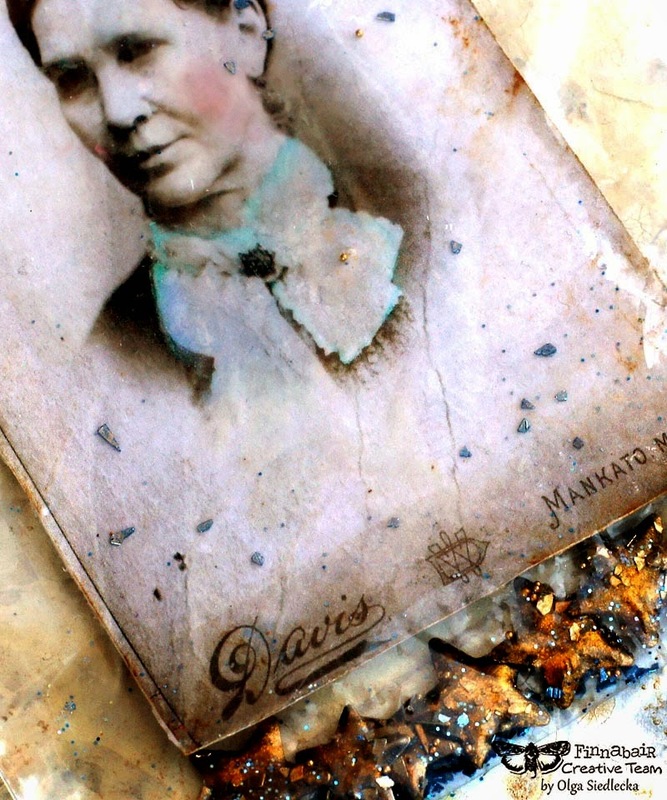 My intention was to arrange this couple as if they were worn portraits on an old wall with peeling paint and wallpaper. 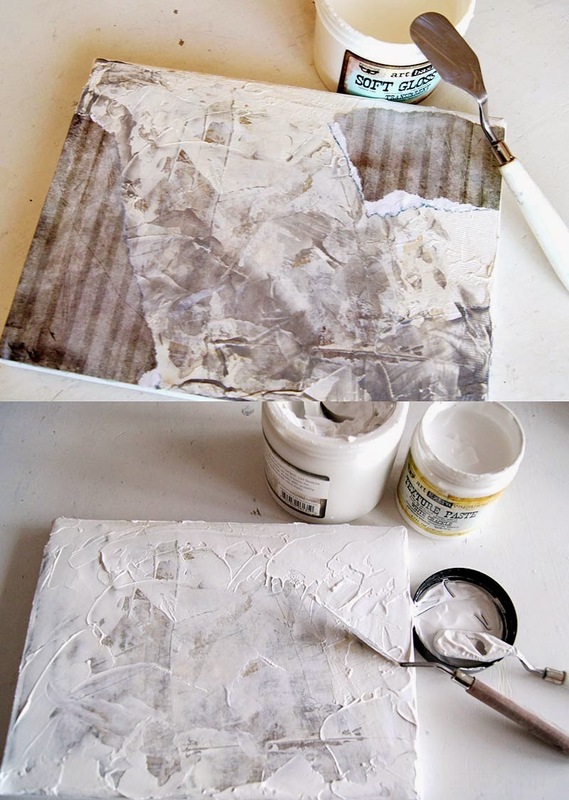 I started with some torn paper glued on my canvas with Soft Gloss Gel and then I covered the whole thing with a thick coat of Modeling Paste. When it dried a little, I put on the second coat of White Crackle Texture Paste. I used a pallete knife and scratched the excess of media here and there. I finished with making tea stains to obtain a weary look. 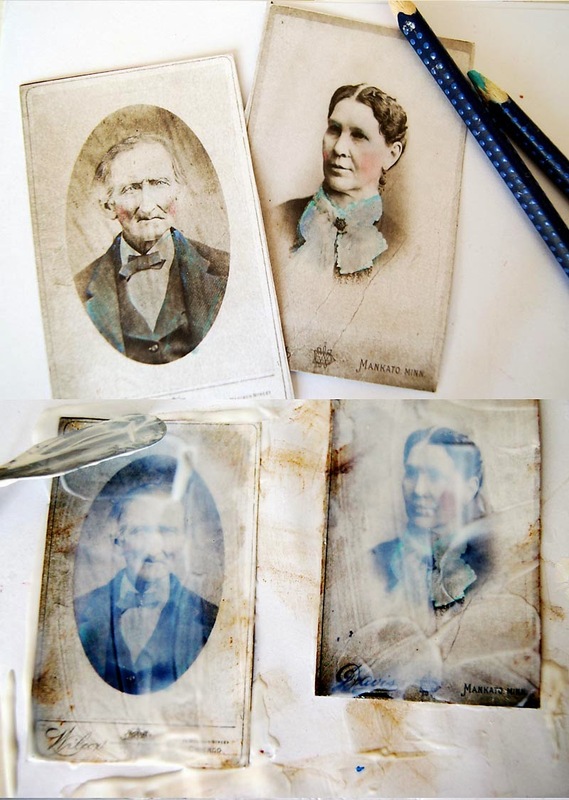 The photos were taken from a stash of scrapbook papers and needed a little makeover to make them look more vintage. First, I accented some elements on the pictures with watercoloured pencils. The idea of less is more worked best here. Then, I covered the portraits with a shiny layer of 3D Gloss Gel. This step made them thicker and sharper. 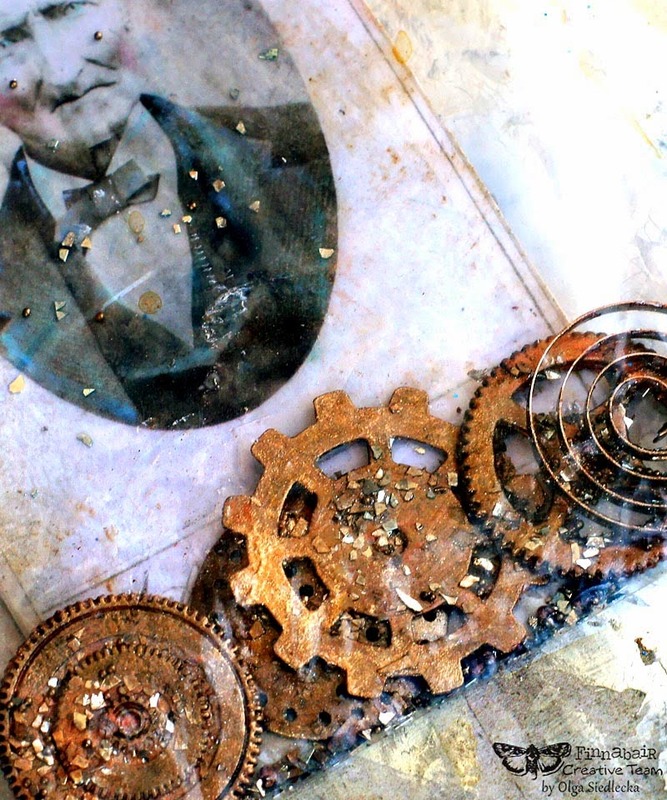 When it comes to the treasures that I put into ziplock bags, I chose gears and other Mechanicals along with starry brads which were more than perfect. 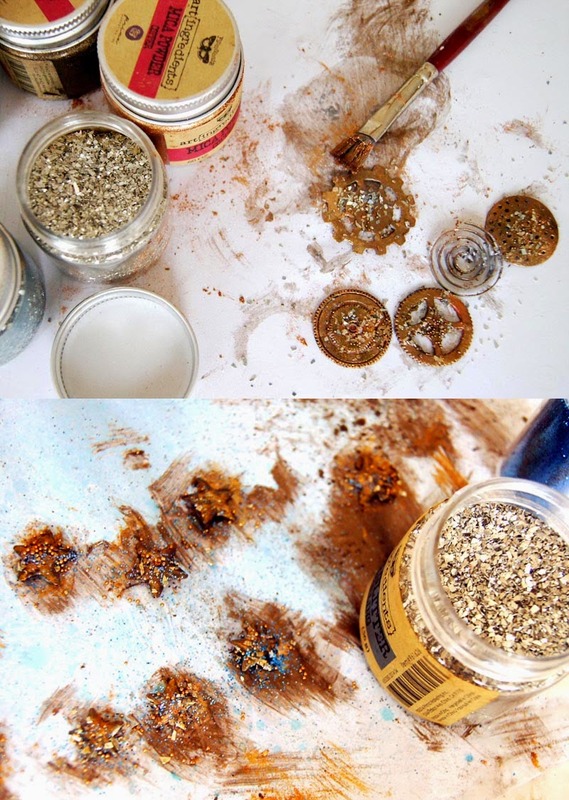 To have them altered, I painted them with Copper Crackle Paste and when it was still quite damp I added some brushstrokes of Rust Mica Powder, a pinch of Sterling Glass Glitter and a pinch of Micro Beads in metallic shades. The stars were also treated with glitter and their settings were cut away. 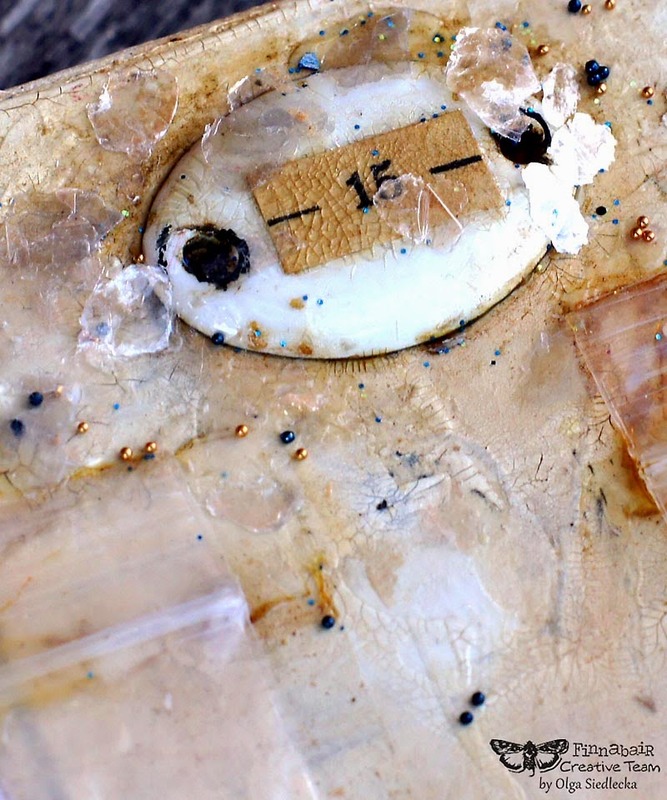 When the bags were filled with treasures and a bit of Glitter, I stapled the photos to fix them and then attached the buttons. 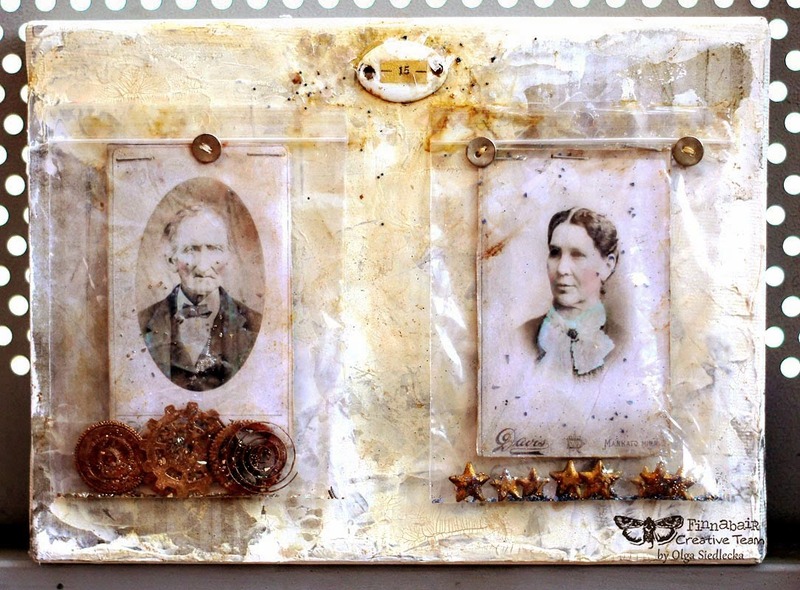 I glued a plate above the photos and also used a few Mica Flakes in Frosted shade. I sealed them with 3D Gloss Gel. Gorgeous project. I love all that texture. Great job - the background is AMAZING. I love the portraits hanging on the old wall of the home they have shared together since they were married. It's just a beautiful idea! I think the down to earth husband and the dreaming wife balance each other out in life - hence, it seems that opposites can attract. Looking forward to more of your work. Thanks for sharing! Happy Anniversary to your vintage couple... it's obvious that they have been married for years and opposites do attract!!!! Heheheheh!!! GREAT project. j. Loved the story and your canvas, such thought to detail.